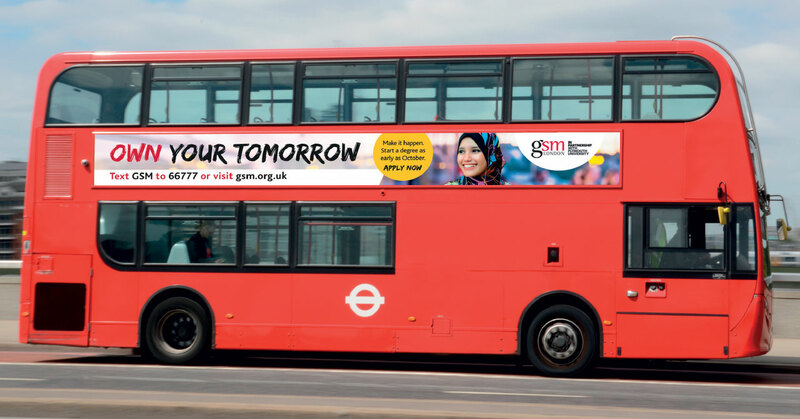 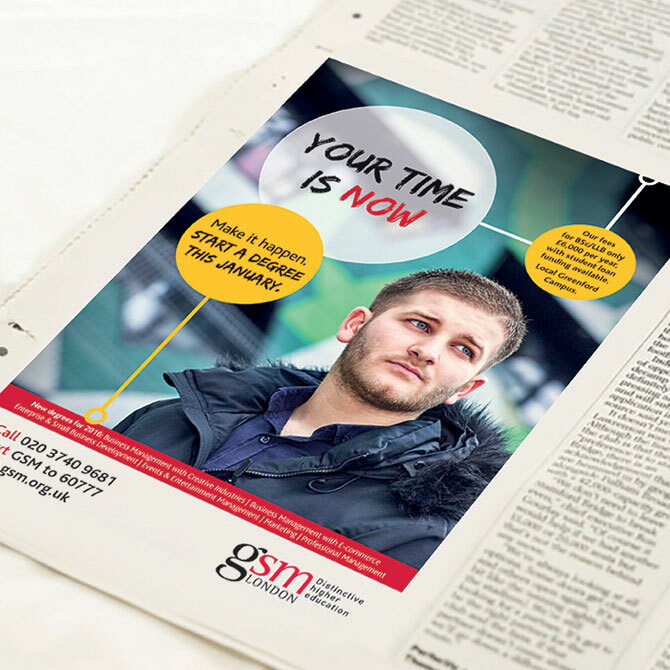 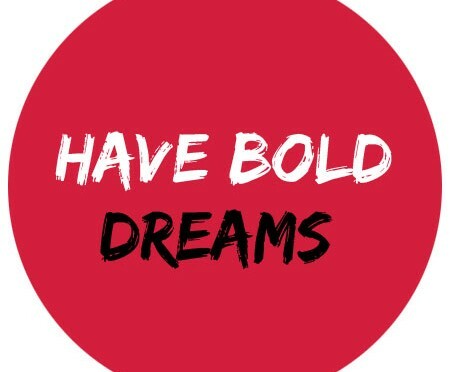  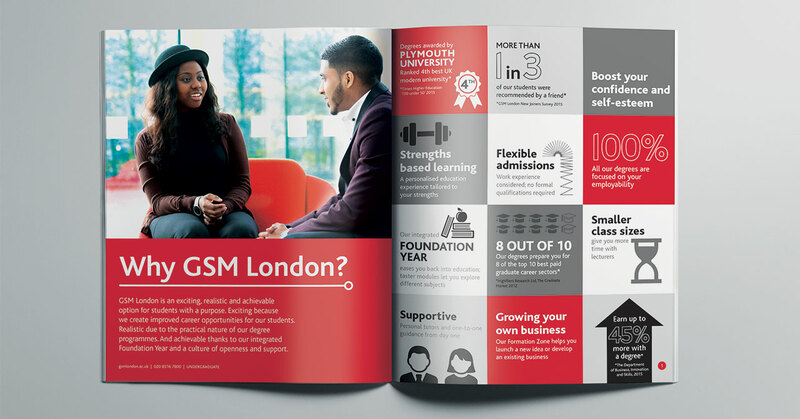 GSM London wanted to increase the visibility of their university and position themselves over their competitors as a destination of choice for students within the local area. 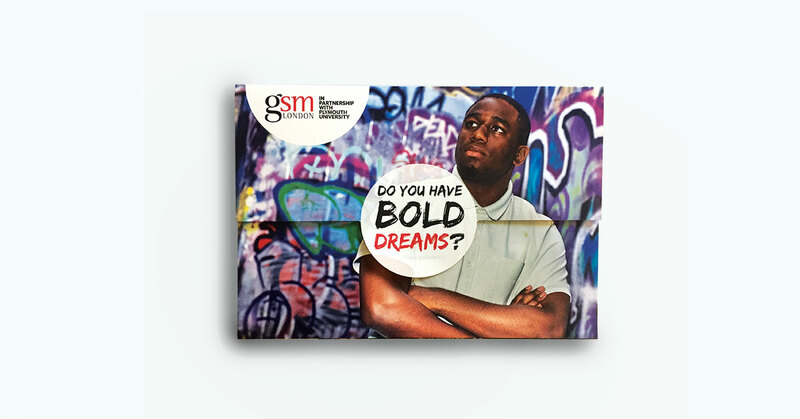 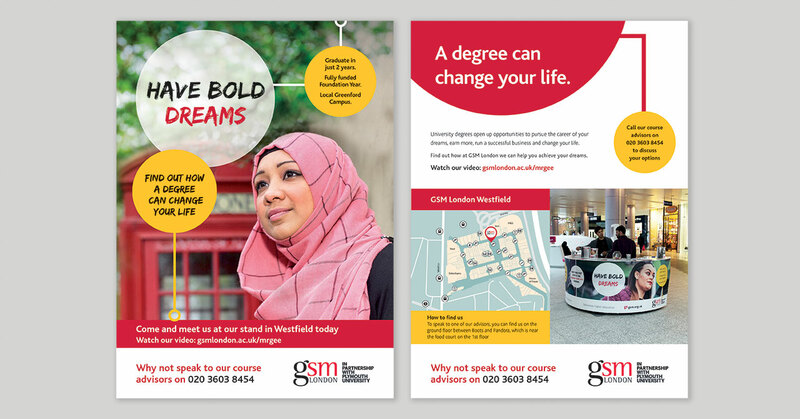 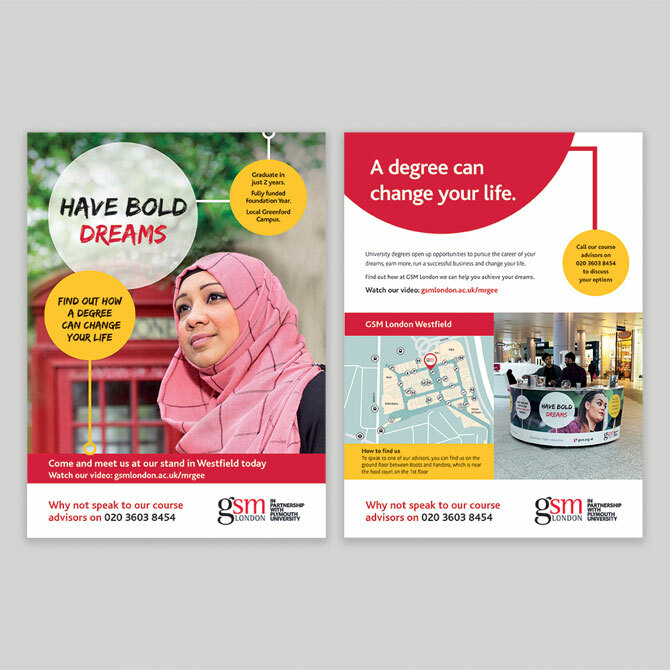 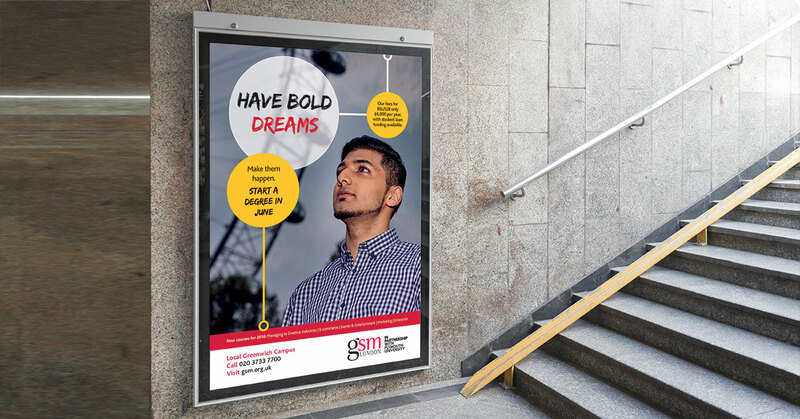 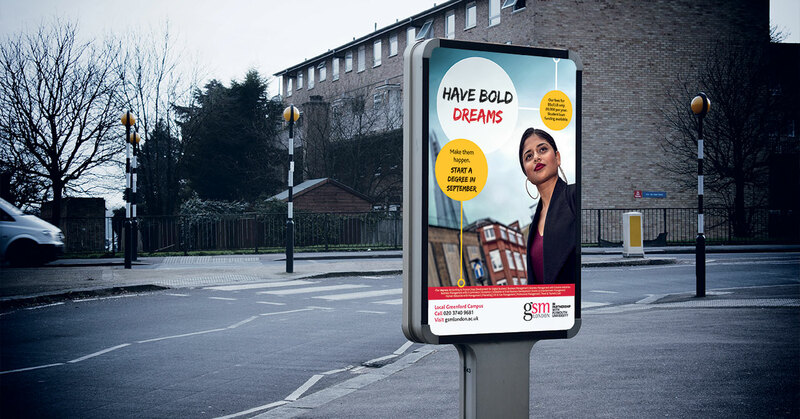 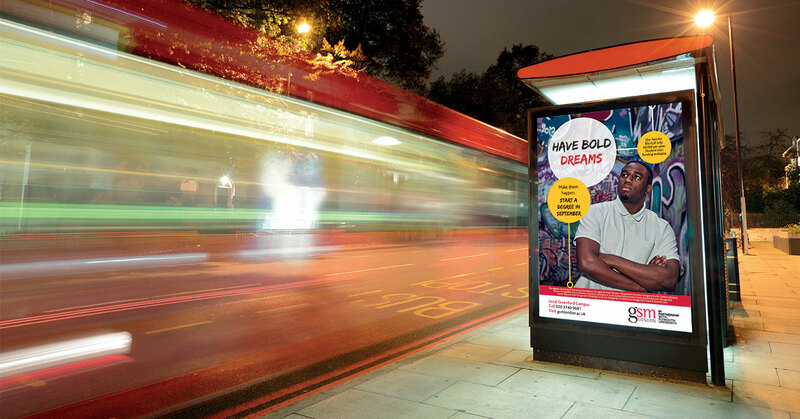 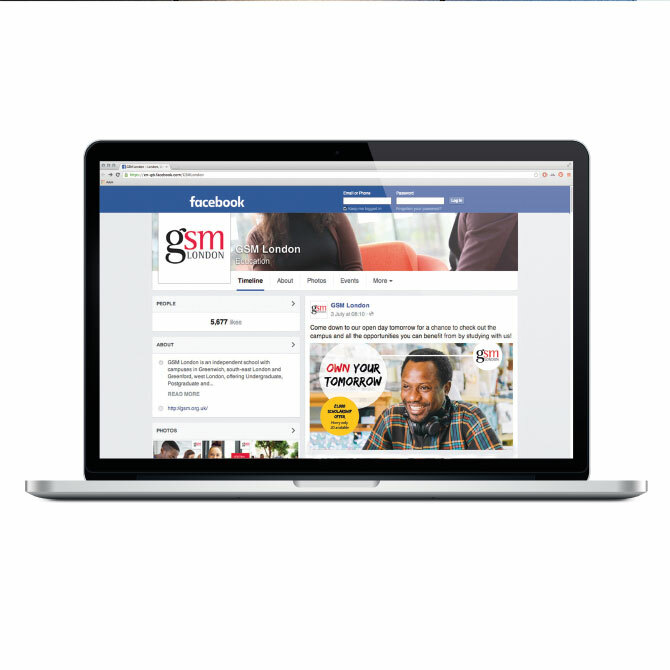 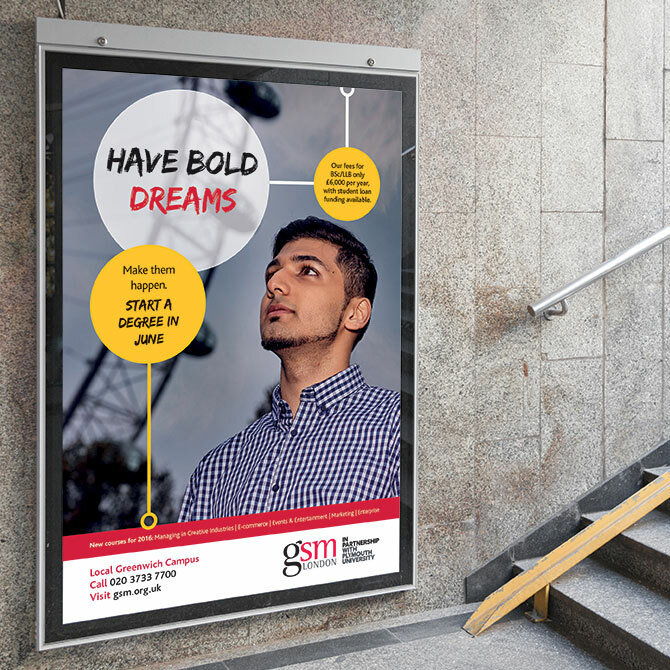 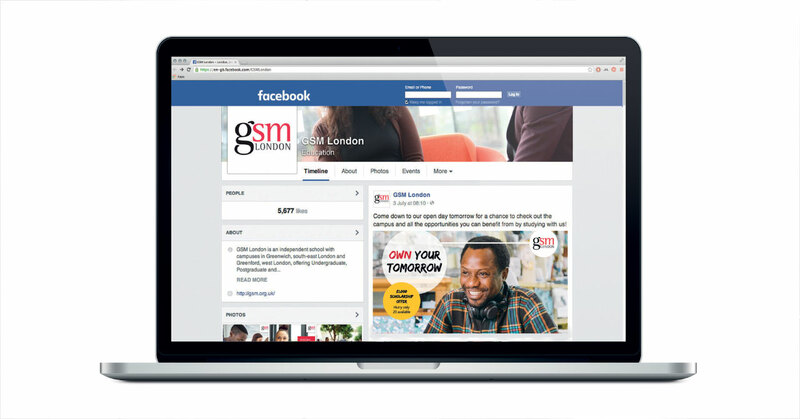 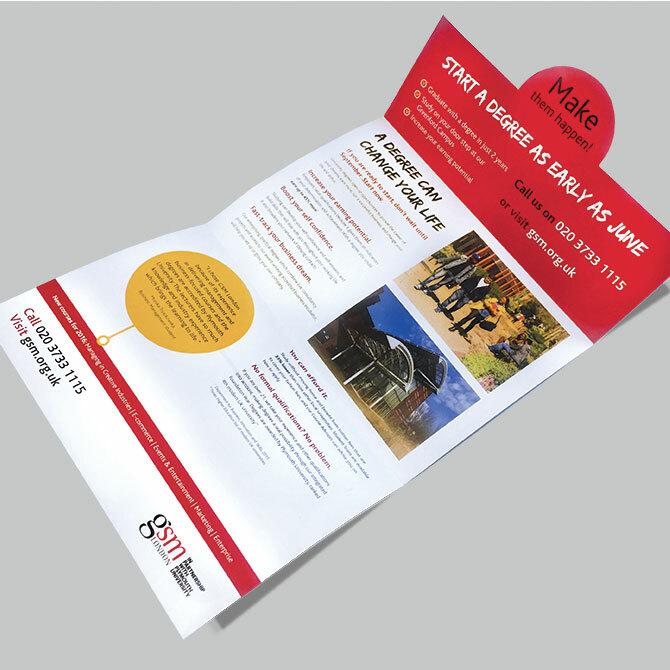 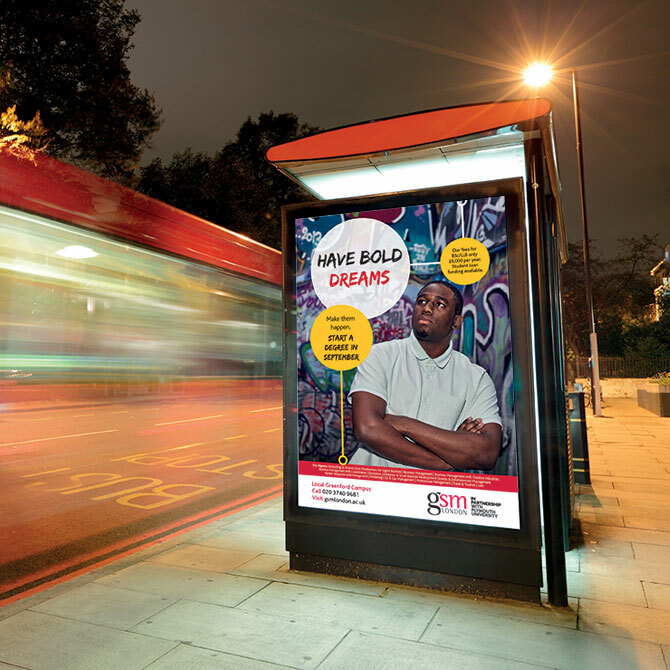 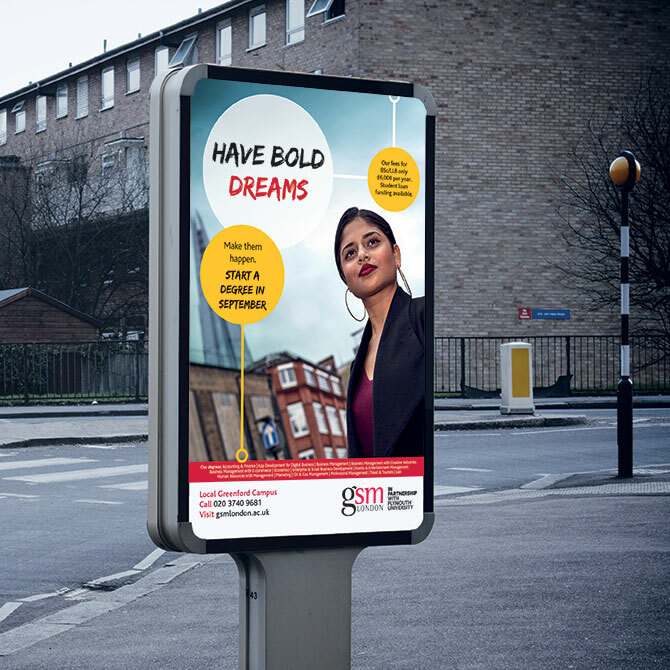 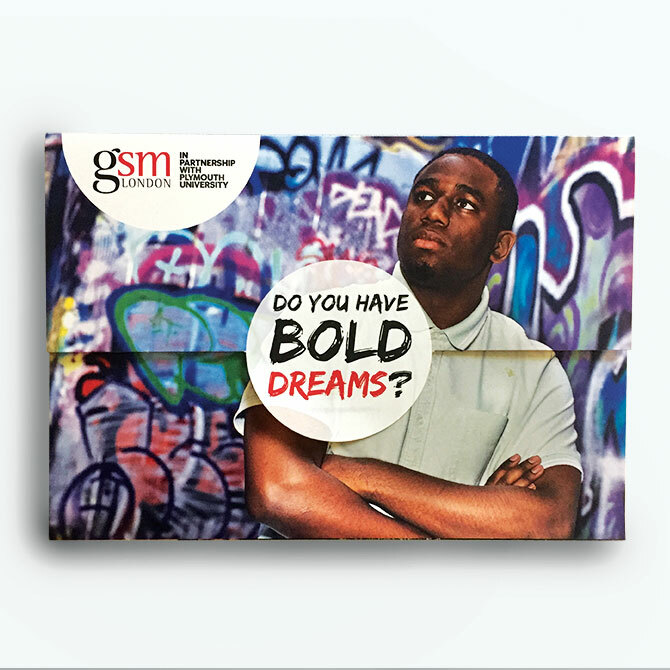 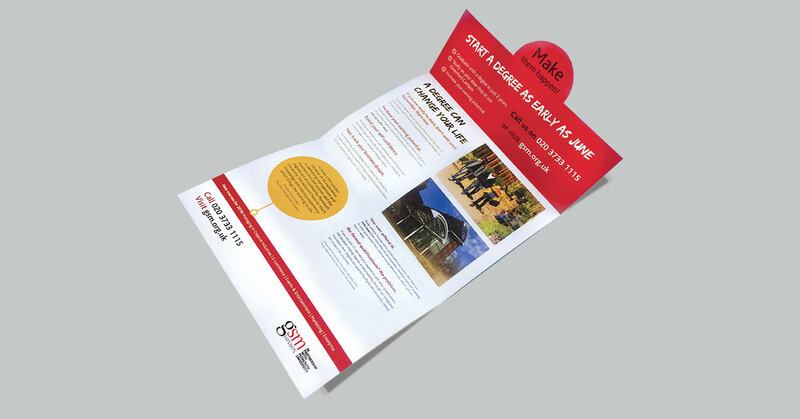 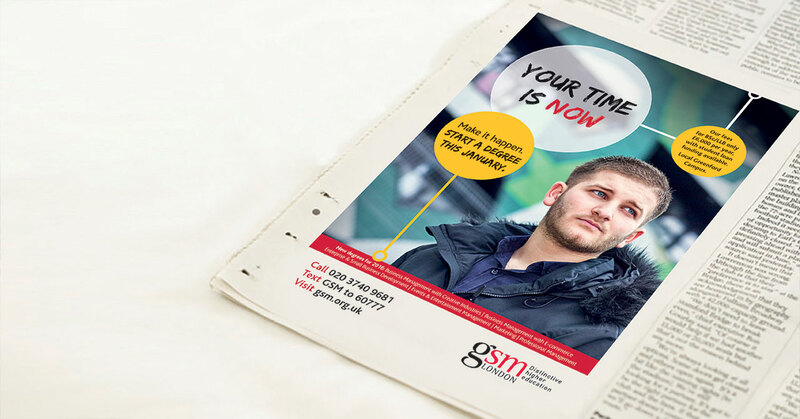 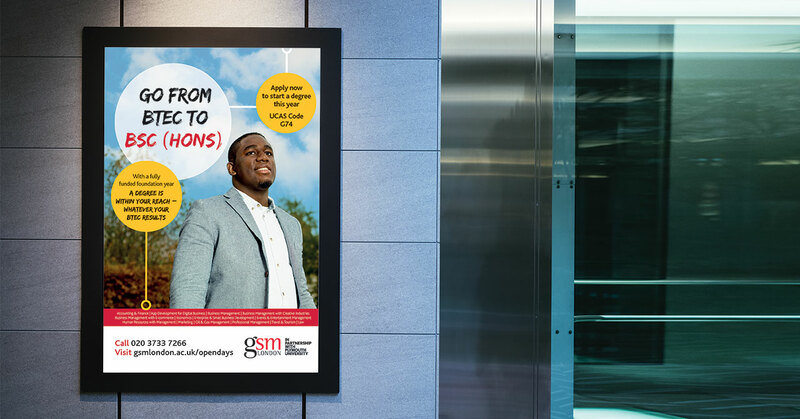 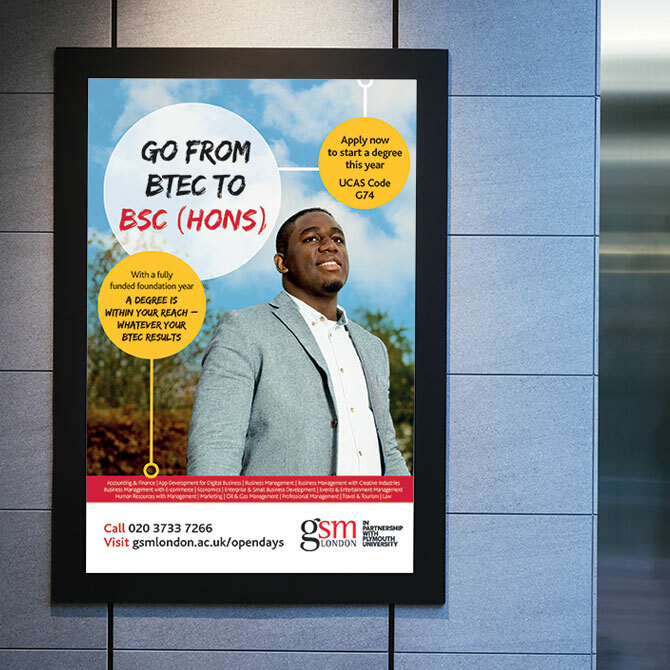 GWCM developed a strong overarching brand proposition for GSM London, supplied powerful and creative campaign concepts and made a compelling case to communicate with prospective students during the undergraduate recruitment drive. 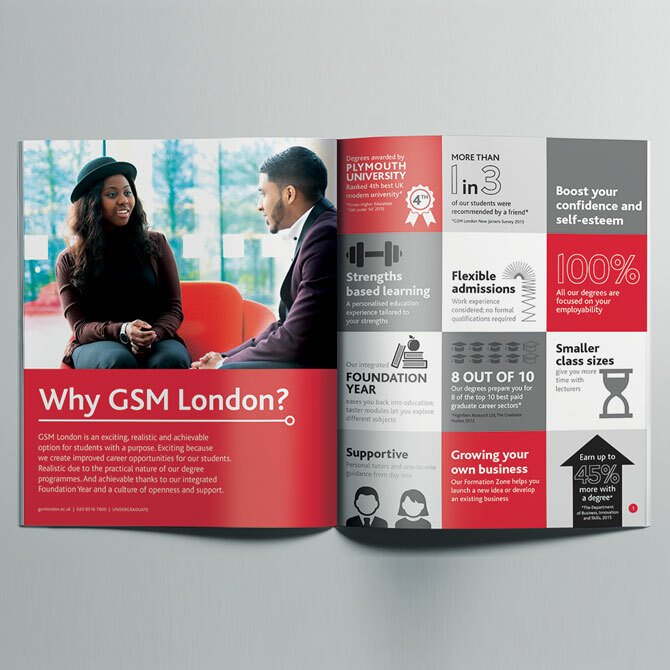 We worked with photographer, Marco Walker who has worked with a number of brands such as Vogue, Moschino and Bacardi to create a series of inspirational images shot across urban London in keeping with the ‘GSM London Story’.